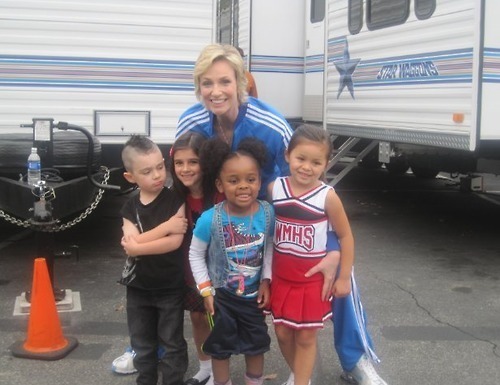 Mini Puck, Rachel, Mercedes, and Santana!. Awww...this is too ADORABLE! <333. Wallpaper and background images in the ग्ली club tagged: glee season 2 2010 behind the scenes on set. AHHH! Children run away! Sue is going to eat you!